3rd Event Win in a Row! 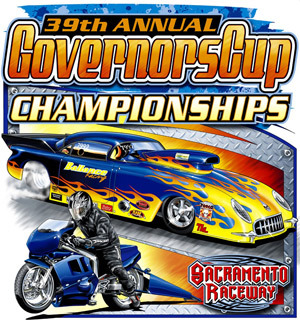 September 19-20, 2008 - Sacramento, CA - Jim Murphy and the WW2 Racing team look forward to the annual Governors Cup at Sacramento Raceway like a fox in the hen house. Over the last 3 decades Murphy has now won the event an unprecedented 11 times. 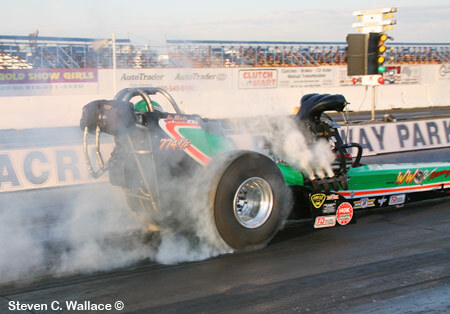 After qualifying #1 with a 5.85, Murphy waded through the field to meet Rick White in an anticlimactic final when White left to soon collecting a red light. 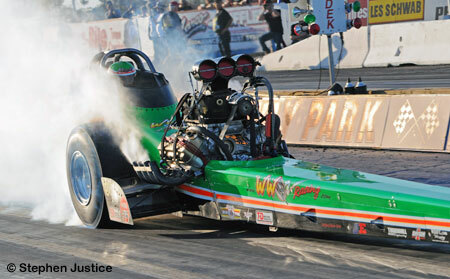 It was Murphy's third win in a row and serves notice that they are ready for the California Hot Rod Reunion. 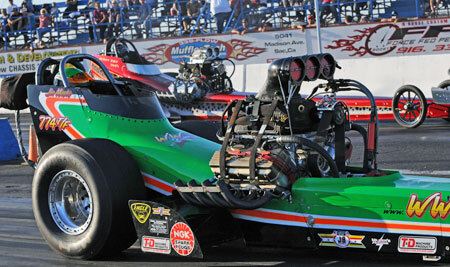 "We are really chomping at the bit to get to Bakersfield which is consistently the best track we see all year. ", said Murphy. 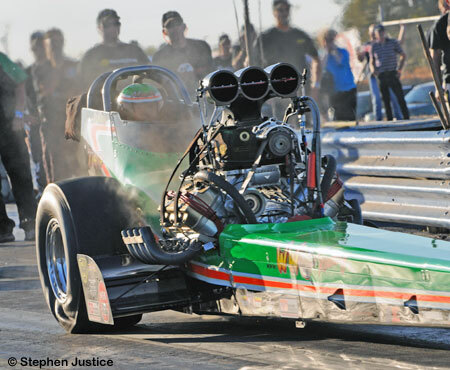 "For the last few races our 60' times have been the best in the class and if we can put that together with the top end bite at Famoso a 5.60 could be in the cards." 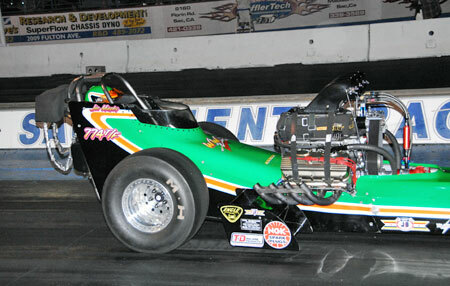 Going into the CHRR Murphy is just 3 points behind points leader Troy Green. 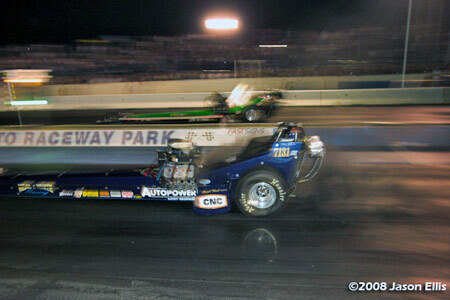 Depending on where the two qualify, there could be less than one round of racing between first and second place for the 2008 NHRA Hot Rod Heritage Racing Series Top Fuel Points Championship. Whoever goes one round further will get the crown. 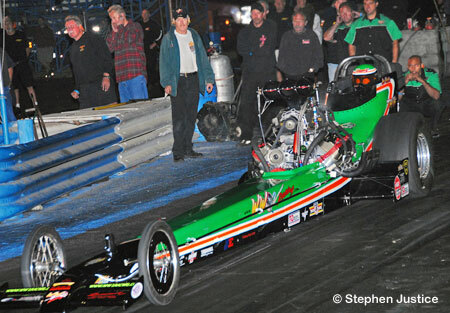 After a stout leave Murphy set the bar high early clocking a super 5.851 at 239.98. 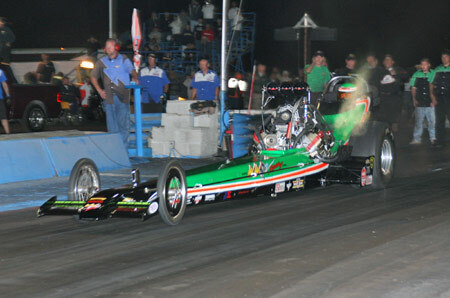 Top fuel eliminations kicked off Saturday at 5:00 pm with Rick White and Adam Sorokin. 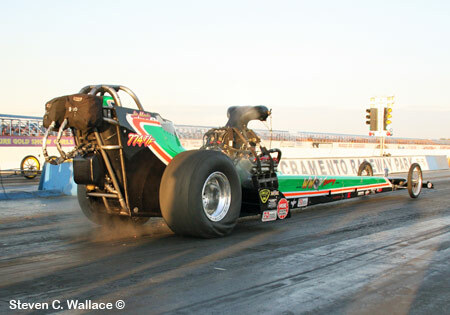 The weekend had been unseasonably cool for the Sacramento Valley in September and that was good for making horsepower. The racing surface had been very good off the line if a little tricky down track. 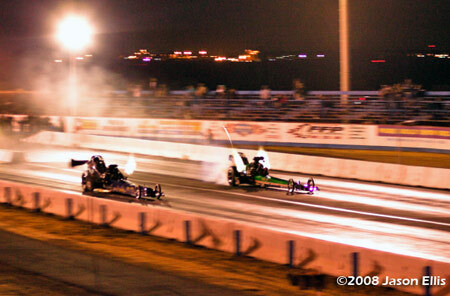 Adam grabbed the lead off the line with Rick in hot pursuit. 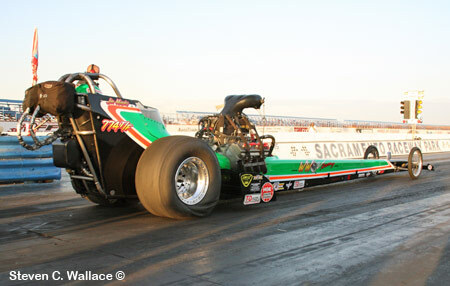 It was a "Thrilla from Sacramenta" and Sorokin's 5.87-215.34 was just enough to deny White's 5.832-248.54; a MOV of .003. 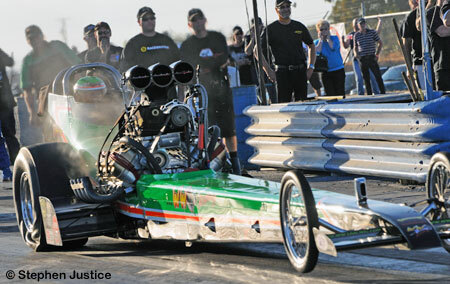 Mike McLennan and Mike Fuller also found the conditions amiable and Mike drove down the left lane to a winning 6.06 at only 216.46 over Rick Williamson. 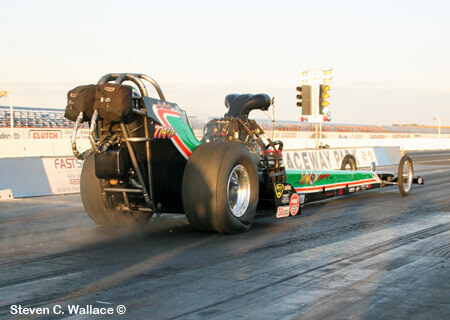 Craig-Berger-Schwartz was not as fortunate-they banged a blower down track and coasted through the traps at 6.57. A team consultant offered this explanation, "We feel like we're skydiving without a chute. We made the gear/tire change to the Hoosiers and now the whole tune up has escaped us. 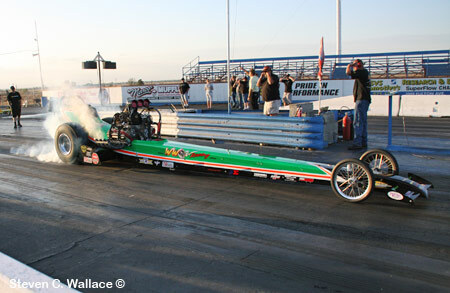 Then, we banged the blower in E1 and the data to the bang said best run all weekend; maybe a 5.87". 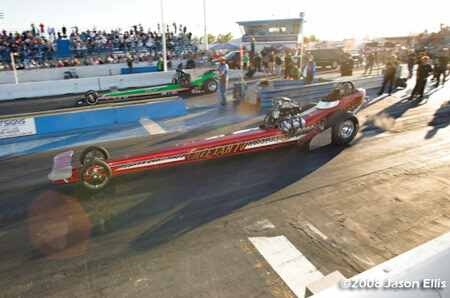 Next Murphy sped away from Terry Cox in the Cheetah IV with a 5.902-251.37 and , Richey advanced with a 6.14 over Murry (back in for Eirich). 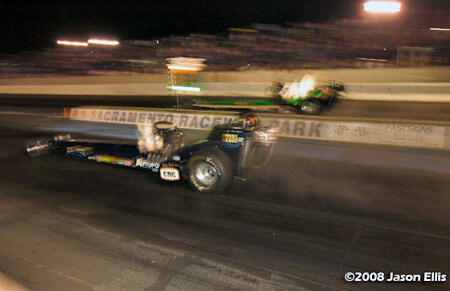 At this point, it appeared to be a typical weekend at Sacramento Raceway with Murphy tormenting all his opponents. With the sun set in the Western sky, things started to get weird. 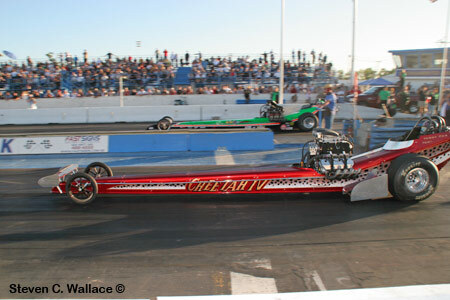 Two of the winning cars from E1, Fuller-McLennan and Jason Richey, had to withdraw due to engine damage. 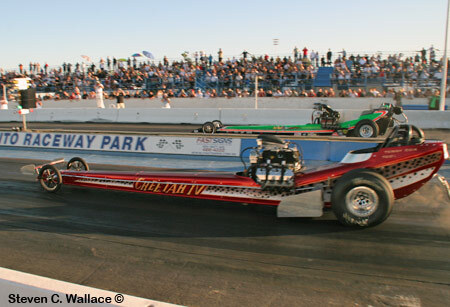 That left three cars available to race and White-Neal, back in under the break rule, lined up against his old antagonist Murphy. 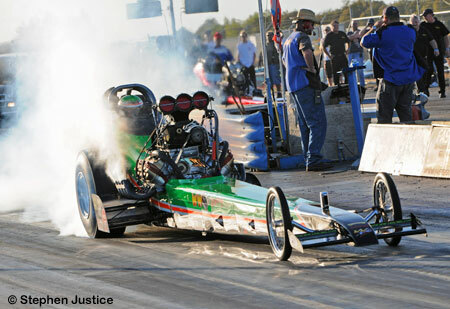 Unlike Nitro Nite of Fire, this time Rick turned the tables on Jim and beat him to the finish line with a commendable 5.90-245.47. Adam Sorokin then made a solo run down the right lane (6.738). 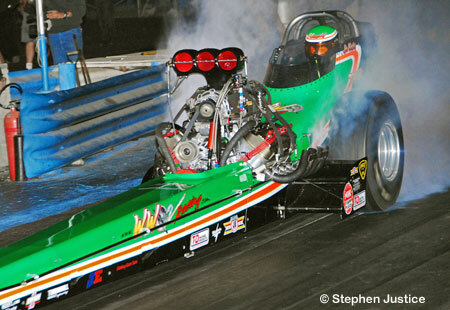 But, the car that had beaten both White and Murphy, the RB Entertainment dragster, broke a rear end on its single run and Murphy and WW2 Racing was reinstated. 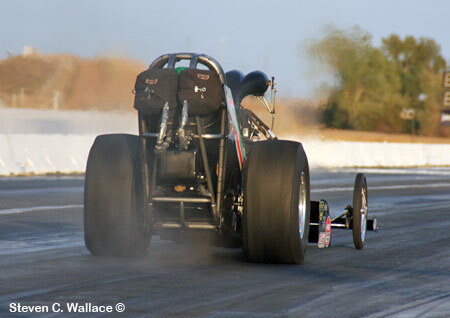 As Bobby McLennan explained it, "We had a very good 60' race car at the Governor's Cup. 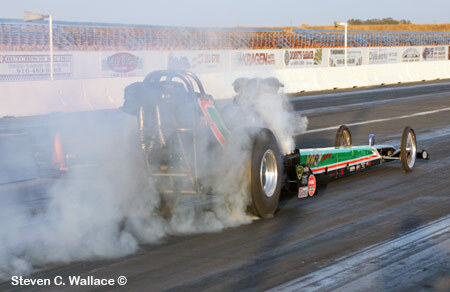 We were spinning the tires pretty hard from half track on and that prevented us from making any full passes. Our 60' times were .971, 1.01, .982, and .974. 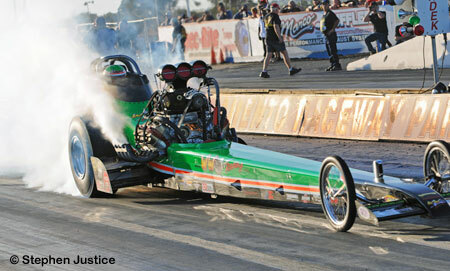 We sheared the rear end axle flange on the semi-final pass which prevented us from making it to the final." 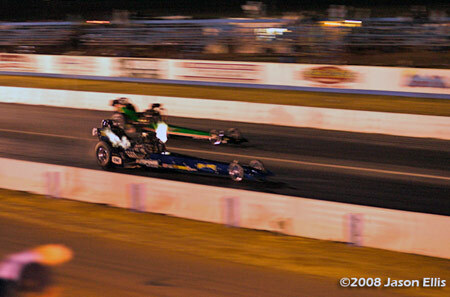 So, the T/F champion of the 39th annual Governor's Cup champion would be determined by two once- beaten competitors. 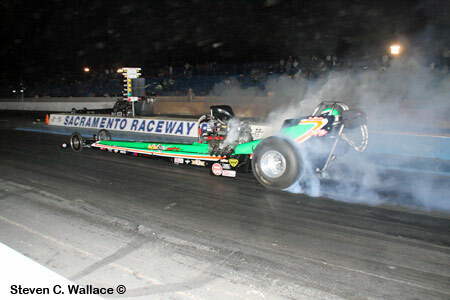 Nonetheless, it was a match up of easily the two best performing cars at Sacramento Raceway over the past year. 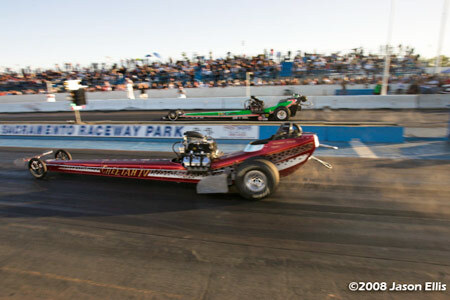 White and Murphy had accounted for five of the seven 5-second runs at the event with Rick holding down low e.t. 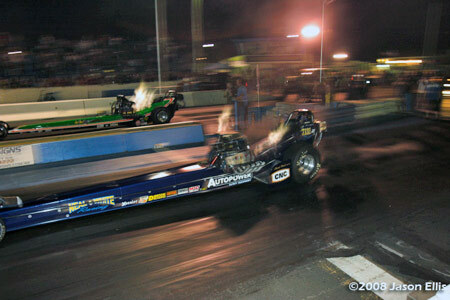 In the final, the Autopower Industries-sponsored dragster caught a red light and Murphy softly cackled down the left lane to another win.